Starbucks Coffee Company (Starbucks) and Tata Coffee (a subsidiary of Tata Global Beverages Ltd [TGBL]) signed a non-binding MoU to collaborate in sourcing of coffee beans and setting up of Starbucks’ retail operations in India. The first Starbucks retail outlet is expected to roll out in six months. Coffee consumption in India is expected to grow at a compounded annual growth rate (CAGR) of 6% mainly on the back of better branding of coffee among the youth by various domestic and international coffee chains. Hence we believe it’s the right time for Starbucks to enter the Indian market and exploit the growing demand for coffee and related products. The alliance is positive for Tata Coffee as it will help it accrue several synergistic benefits and improve the profitability of the company over the long run. The strategic alliance is in line with TGBL’s growth strategy of diversifying from the commoditised tea and coffee business to selling value added products. 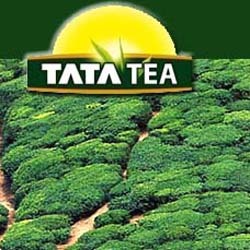 TGBL’s joint venture (JV) with PepsiCo, Tata Coffee’s strategic alliance with Starbucks and TGBL’s thrust on expanding its product portfolio with value-added beverages and expanding its footprints in new markets augurs well for the company from a longer term perspective. However the sustenance of sales volume pressure in the domestic and international market and volatile input prices (raw tea and coffee) could put profitability under severe stress in the near term. Hence we maintain our Hold recommendation on the stock with a price target of Rs138. At the current market price, the stock is trading at 16.9x and 12.9x its FY2011E and FY2012E earnings respectively.